Trained in Cognitive Neuropsychology at the University of Oregon, Dr. Hartry has conducted research in a broad spectrum of areas. In addition to her entrepreneurial experience, she has extensive research design expertise and advises on mechanisms of the human – robotic device interface. Ardice Hartry, Ph.D., has conducted research in science education for more than 15 years. 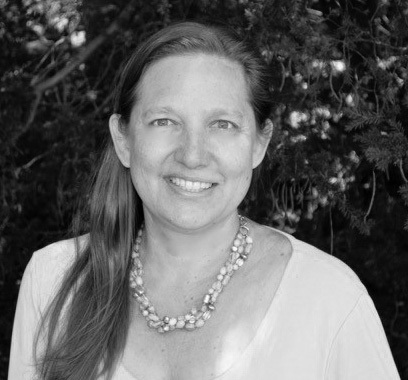 Much of her work has been funded by the National Science Foundation (NSF), NASA, and NOAA. One of her current studies involves helping experts communicate about science to the general public. Another current study evaluates how NASA mission engineers can best encourage design thinking in young adults (with a focus on missions to Mars). Ardice has worked closely with scientists at the University of California, Berkeley (among other institutions) in writing successful proposals to federal agencies and private foundations. In addition, Ardice is an enthusiastic traveler, having visited over 115 countries. She has two children, both who have inherited the desire to engage wholly in this and other worlds. Árni Björn Stefánsson (born 1949) is an ophthalmologist, sea-kayaker and lava cave explorer. He has written extensively on lava caves in scientific journals and magazines and is active in organizing cave protection. The protected Icelandic natural monument Árnahellir is named after him. In 1974 Árni was the first person to abseil (120 m)into and explore the Þríhnúkagígur pit, an open vertical volcanic conduit (OVVC), the third largest and the deepest formation of its kind in the world (NSS News vol. 50, no 8, page 202-208 Aug. 1992). Stefánsson has more than 60 years of experience in the field of lava tubes. Since 1982 he has been active in promoting the conservation of the exquisitely delicate lava cave environment. He has been the chairman of the ISS cave conservation committee since it was established in 1993. He is involved in a world wide network of volcanic cavers, part of UIS Commission on Volcanic Caves since 1991, a member the US Speleological Society since 1992 and Cave Conservancy of Hawaii since 2008. Stefánsson is supervisor in the use of Stefánshellir and provides is knowledge, experience and his network and his connections to the landowners of Stefánshellir. It is thanks to him, that Stefánshellir was provided for Space research purposes. Christa M. Feucht, born 1980 in Switzerland, is fascinated by space flight since the age of 10. She graduated with a M.Sc. in Earth Sciences from the University of Bern, Switzerland in 2006. The topic of her thesis (Biosignatures in secondary minerals in Breiðdalur Valley, East Iceland) brought her to Iceland in 2004. Her supervisor Dr. Beda Hofmann sent her there to investigate the occurence of fossil bacteria around an extinct volcano as an analogue to the most likely life forms to be found on Mars. After her graduation in 2006 she moved to Egilsstaðir in East Iceland, where she learned Icelandic. From 2007-2012 she worked for Iceland Geosurvey (ISOR) in Reykjavík on geothermal energy use. In 2012 a position as executive manager of Breiðdalssetur Geology Centre was offered to her and, together with her family, she moved back to Icelandic „home“ roots in East Iceland. In 2016 she and her husband Martin Gasser (curator at Breiðdalssetur Geology Centre) presented their work at the Explorers Festival in Húsavík/North Iceland. Michael Chalmer Dunn, CEO and founder of 4th Planet Logistics, was attending the Festival as well. He founded 4th Planet Logistics shortly after this event in 2016. In 2017 she moved together with her family back to Switzerland. Christa has both Icelandic and Swiss citizenship. 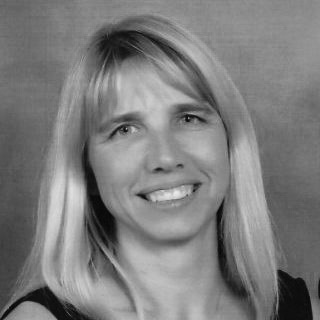 She is the initiant of 4th Planet Logistics Iceland and chairman of the association. As well she is responsible for the coordination of 4th Planet Logistics´ European activities. Office, public and residential buildings, landscape architecture, product design. Mr. Barker holds Masters Degrees in physics, psychology, mathematics, space architecture, and is currently a PhD ABD in geology with an emphasis in lunar petrology and Mars stratigraphy. He has worked at Johnson Space Center for 22 years as a biomedical engineer, International Space Station flight controller, systems engineer (GN&C, propulsion, robotics and biomedical healthcare) and a science and technology editor/coordinator. He is a Certified Flight Instructor and has traveled extensively, is multilingual and an avid mountaineer. Mr. Barker initiated Mars Advanced Exploration and Development, Inc. to pursue ongoing Mars research interests including mission design, landing site selection, water acquisition and resource utilization. Barker, D. C. Resource Considerations for Enabling Sustainable Trans-Earth Habitation. Abstract and presentation at the SRR XVII /PTMSS. Golden CO, abs. no. 17, June 2016. Barker, D. C. and Snow, J. E., Apollo 15 Green Glass Phenocryst Growth and Compositional Inhomogeneity. 47th Lunar and Planetary Science Conference, Houston TX, abs. no. 2333, March 2016. Barker, D. C. et al., Site Selection for the First Sustainable Mars Base. Abstract and presentation at the First Landing Site/Exploration Zone Workshop for Human Missions to the Surface of Mars. Lunar and Planetary Institute, Houston TX, abs. no. 1002, October 2015. Barker, D. C., 2015, The Mars imperative: Species Survival and Inspiring a Globalized Culture. Acta Astronautica, 107, 50-69. Donald Hartry is retired from a distinguished career as an engineer with experience in aerospace, thermoset resins, electronics, and unique applications of developing materials. He holds multiple patents for unique applications of flexible composite materials. 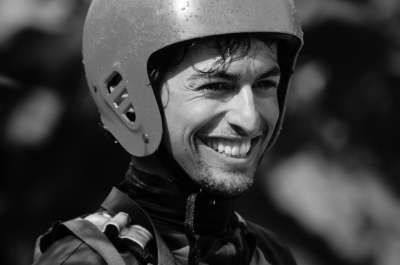 Italian, born in 1987, Francesco was educated at the University of Macerata, earning a Degree in Tourism with a special focus on ecotourism and sustainable tourism. In the past, he gave talks and published his academic work and researches on the impact of whale watching on Icelandic nature and communities. Fascinated since childhood by explorers and their epic feats, Francesco started practicing hiking and mountaineering at a young age and has never stopped. With the mountains still being something special for him, in the last years he has extended his interest towards new terrains of adventure and discovered his vocation for long distance overland journeys, the most recent ones being a 25.000 km travel in Asia from Moscow to Kathmandu and a 10.000 km travel in South America from Ushuaia to Lima. He regularly collaborates with Italian travel agency Viaggi e Miraggi, as advisor, for cultural and outdoor adventure journeys in Iceland. Since 2014 Francesco lives in Húsavík and works in the museum field. After a first experience at the Whale Museum, in January 2015 he joins the team of the Exploration Museum as Curator. He also works periodically as curator or contributor of temporary exhibitions in Iceland and abroad. Since 2016 he is the Director of the Explorers Festival annually hosted in Húsavík by the Exploration Museum, and member of the Scientific Committee of the museum. Francis Govers is the Chief Robotics Officer for Gamma 2 Robotics, Inc. He is the designer of over 25 unmanned vehicles for land, sea, air and space. As the deputy Chief Engineer for the US Army’s Future Combat Systems Unmanned Vehicles, he led the design of the Armed Robotic Vehicle (ARV), ARV-RSTA, the MULE, MULE Countermine and MULE ARV-Light, as well as the iRobot SUGV (Small Unmanned Ground Vehicle). He designed a number of robots as Chief Engineer for Elbit Systems. He was a participant in the first DARPA Grand Challenge, and was a leader of the DARPA EATR (Energetically Autonomous Tactical Robot) program. Other notable positions: Lead Engineer for Command and Control for the International Space Station; H/W engineer on the Shuttle Mission Simulator; Director of the Advanced Simulation Laboratory; PM of Flight Simulation for F-35 Joint Strike Fighter; Special Missions Manager for Zeppelin at Airship Ventures; Professor at the Unmanned Vehicle University; Chief Engineer for Elbit Systems of America; VP of Engineering for Sportvision, the creators of the “yellow line” for NFL football; developed in-car telemetry for NASCAR, IndyCar, and GrandAm. He is a regular contributor to GIZMAG and Robot Magazine, on the editorial board of the International Journal of Unmanned Systems Engineering, and co-author of the book, “Introduction to Unmanned Vehicle Systems”. Mr. Govers has earned his commercial pilot rating, and is a US Air Force veteran. and has over 20 year experience of lava tube caving. The Icelandic Speleological Society has been active in supporting international science teams, surveying and doing scientific research on lava tubes. 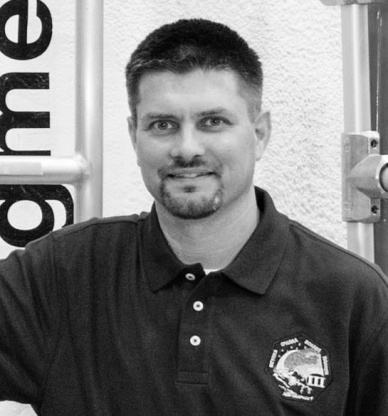 Gunnarson is responsible for the coordination between 4th Planet Logistics Iceland and the ISS. 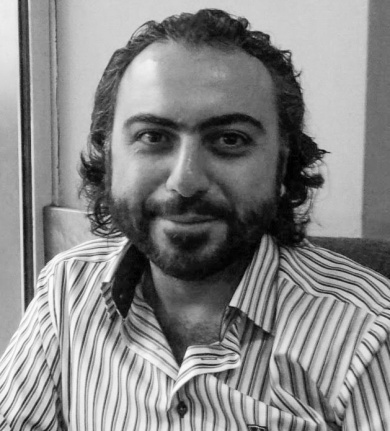 İbrahim Mutlay is an industry veteran as a founder and CTO of pioneering startups on advanced materials, computational sciences and process tech. His Grafen Co. is one of the early players in global graphene industry enabling 100+ innovative products and inventions in the field. Today, he helps companies to find cutting-edge market intelligence and financial data via his latest attempt, Metaa Dynamics. Personal Statement: A researcher with strong knowledge in big data, predictive modeling, technical systems diagnostics and prognostics. 1990-1995 Participated at conferences: American Association for Artificial Intelligence (AAAI) 1990 in Boston, AAAI ’91 in Anaheim and AAAI ’92 in San Jose. Attended workshops on machine learning and computer-aided diagnostics of technical systems. • Unconstrained facial recognition, latent fingerprint image super-resolution enhancement, voice stress analysis (prototypes in MATLAB). Dr. James W. Rice, is an Astrogeologist with over 30 years research experience specializing in the exploration of the Solar System, especially the Moon and Mars. His career includes working for NASA, The Astrogeology Headquarters of the United States Geological Survey, the Mars Spaceflight Facility and the Lunar and Planetary Laboratory. Rice is a Co-Investigator and Geology Team Leader on the NASA Mars Exploration Rover Project (Spirit and Opportunity). He was the Associate Project Scientist on the Lunar Reconnaissance Orbiter Project. He also has NASA mission experience working on the Mars Odyssey Orbiter. Dr. Rice has been involved in Mars landing site selection and certification activities for every NASA Mars Mission since Mars Pathfinder in 1995. He is currently working on the Columbia Hills region landing site for the Mars 2020 Rover, this site was recently selected by NASA to be one of the final three candidate sites to be analyzed. (Aug-Sept 2010). This was conducted as part of the NASA JSC Desert RATS Analog Field Tests. Additionally, Dr. Rice has extensive geological field experience (over 25 years experience in Antarctica, High Arctic, Iceland, Hawaii) studying a wide variety of Mars and Moon analog environments. He has been a leader and team member on numerous international geological field expeditions around the world including a 6 month long joint NASA/Russian expedition to Antarctica. This work included being a member of the SCUBA diving team to first investigate the perennially frozen lakes of eastern Antarctica. Rice has also served on numerous NASA Science Analysis Groups for manned missions back to the Moon and Mars. He has also trained and briefed NASA astronauts in geology and Mars exploration. I was selected by NASA to be a Science Team Member on the first joint US (NASA)/Russian expedition to the Bunger Hills in eastern Antarctica. I spent 6 months at this remote isolated Russian outpost, which was an excellent analog to a Manned Mars expedition. I feel that this experience vividly demonstrates that I possess the following qualities: endurance, performance under pressure in a harsh remote isolated unforgiving environment, conducting hazardous operations (SCUBA diving)under frozen lakes with 5 meter thick ice covers, ambition, sense of daring and probing mind, problem solving abilities, communicability with others, discipline and the ability to work well in teams as well as individually under difficult conditions. hazardous operations (SCUBA diving). I departed on a Russian icebreaker out of Uruguay and returned to Cape Town, South Africa, where I then flew back to the US. Nanotechnologist, graphene researcher, aerospace designer. Having over several years of hands-on experience in the synthesis of graphene, which has been dubbed the “wonder material of the 21st. Century”, Jonathan has pioneered new methods to make this revolutionary material. Graphene is the thinnest, strongest, and lightest material in the world made entirely out of 2-dimensional carbon. He envisions swarms of robots on the moon and on mars building solar cells, batteries, and entire habitations through the use of graphene, along with other related and incredible nanomaterials. Having worked in the aerospace industry for over a decade in San Antonio, Texas, Jonathan has extensive design experience in CAD, IT, and system design. His previous work included projects for Raytheon and several other large aviation firms. He has studied nanotechnology for over twenty five years, and has always dreamed of reaching the stars. Now pursuing a formal degree in chemistry with the University of Arkansas, Jonathan is ever learning how to best solve many problems and is very creative in arriving at solutions. Also, he has taught robotics to high school students as an adjunct college instructor for a summer academy for gifted students. He plans to use his combined experience and skills to see the Mars Pressurization Project take off. Martin Gasser, born 1975 in Switzerland, graduated with a M.Sc. in Earth Sciences from the University of Bern, Switzerland in 2003. His research topic was glacial history in the tropics where he mapped the highest volcano of North America, Citlaltepetl (Pico de Orizaba) in Mexico. He always loved mountains and was utterly fascinated by the eruption of Mt. St. Helens in 1980 when he was 5 years old. As a child he got to know Iceland by reading volcano books. 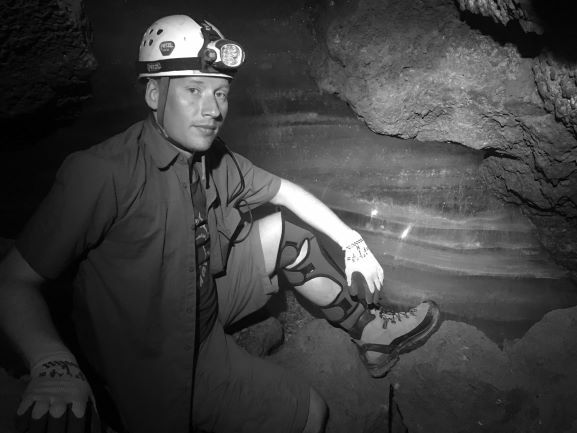 From the age of 19, Gasser has been an active research speleologist, which is especially challenging in the huge cave systems of the Swiss Alps. In 2004 he first came to Iceland, visiting his future wife at her mapping work in East Iceland. In 2008 Gasser worked amongst others as a mountain guide in Iceland and was an ESA astronaut aspirant because he wanted to do geology on the moon. In 2009 he moved to Hveragerði, SW-Iceland, together with his family. In 2012 he got offered a position as curator at Breiðdalssetur Geology Centre in Breiðdalsvík/East Iceland. His duties were teaching local geology, volcanology and mineralogy. As well he was in charge for the relocation and build-up of the complete Drill core archive of Iceland in Breiðdalsvík. Collaboration between Breiðdalssetur and The Exploration Museum in Húsavík/North Iceland lead to meeting Michael Chalmer Dunn, founder and CEO of 4th Planet Logistics, at the Explorers Festival 2016 in Húsavík. 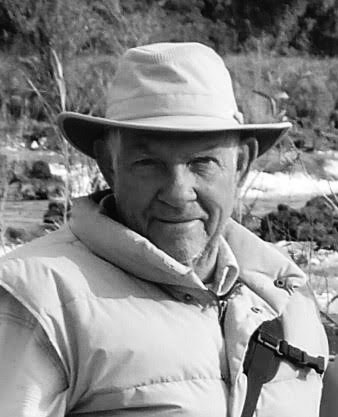 Gasser is a member of both the Icelandic and Swiss Speleological societies. As a geologist specialized in volcanology and glacial geology, lava tubes are one of his key interest and expertise. It is due to his connections that 4th Planet Logistics has a test site in West Iceland. In 2017 he moved back to his home country Switzerland where he is working on putting up the European branch of 4th Planet Logistics. He is the geological consultant and supervisor of field operations at 4th Planet Logistics’ cave test site in West Iceland. Michael Chalmer Dunn is a noted American Explorer, Adventurer, Businessman and World Traveler who has worked in, or explored extensively within almost every country in the world. He was educated at Cambridge University, U.K. where he received a M.Phil in Polar Studies with special emphasis on problem-solving, decision-making and plan implementation processes as they relate to expedition and exploration management. He is perhaps best known for leading or participating in early expeditions to reach each of the seven continental summits, as well as the north and South Poles; inclusive of co-leading the first Skydive Expedition to the geographic North Pole and as Expedition Leader on the Neil Armstrong-Sir Edmund Hillary North Pole expedition in 1985. Michael currently works as CEO of 4th Planet Logistics, a Chicago based company that focuses on the development of subterranean caverns and cave systems for eventual Lunar-Mars Habitat application. 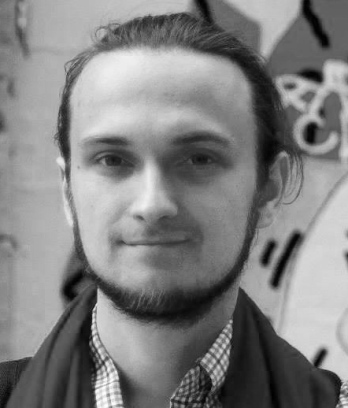 Michael is a senior fundraising and communications professional with an extensive background in development work, media relations, strategic planning, social media outreach, non-profit management and government affairs. While living in Israel for 14 years, he served as a communications aide to Israeli statesman Benjamin Netanyahu and coordinated global resource development for one of Israel’s largest public colleges. 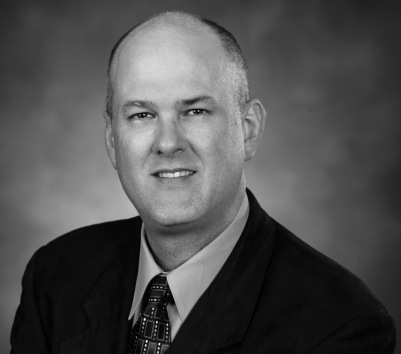 Currently based in the Chicago area, Michael has worked for several institutions in the non-profit education field. He has also served for nearly a decade as a senior volunteer for the Mars Society, the world’s largest space advocacy group dedicated to the human exploration and settlement of the planet Mars. Michael’s academic background includes a B.A. degree in history from Creighton University and a M.A. degree in Near Eastern Studies from New York University. Michael has a degree in Mechanical Engineering from the University of Queensland, Australia. He has served in the Australian Military as a Marine Engineer before passing selection for the Australian Army Special Forces Commando Regiment. During his seven year service with the military he was fortunate to serve operationally on three occasions. On the first occasion he served as second in command of a Commando Company in support of the counter terrorism effort for the Nations Transitional Authority East Timor with the Royal Australian Infantry Corps in the Second Battalion as Company 2/C and also as Specialist Signals Platoon Commander. Michael also served in Iraq as part of Operation Catalyst as the second in charge of the Australian Security Detachment. Upon separation from the Army he moved to Vanuatu in the South Pacific with his wife and two children where he used his Engineering and military climbing skills to build the Vanuatu Jungle Zipline, now Vanuatu’s largest tourist attraction. Vanuatu is blessed with numerous active volcanoes and Michael assisted on a few occasions with expeditions to gain access to the Lava Lake of the Marum Volcano on Ambrym Island. Challenges included the 420 m descent down rocky cliffs subject to significant rock fall, toxic gas clouds, acid rain, earthquakes and risk of volcanic eruption. More recently Michael was the Chief Engineer to provide access for an expedition to the Lava Lake in the Masaya Volcano in Nicaragua. Masaya presented an extremely complex operating environment where a large team of scientists, explorers, physicists, photographers, filmmakers and drone pilots gathered data and mapped the volcano in order to better predict future eruptions. Hazards included lightning, severe weather and storms, rock fall, heat exhaustion, exposure to lava and the unexpected activity from several volcanic vents. The expedition team was fortunate to be able to initially take refuge in a small lava tube that was subsequently used as a storage and generator space. Exploration and volcanoes are his passion. Örlygur Hnefill Örlygsson (born 23 October 1983) is an expert in exploration history, a space exploration enthusiast and founder of The Exploration Museum in Iceland. He is the owner and manager of Húsavík Cape Hotel and chairman of the Húsavík Chamber of Commerce. From 2005 to 2008, he worked as a journalist and photographer for Icelandic media and publishing company 365 media in Reykjavík. From 2007 to 2009, Örlygur served as a parliamentary assistant in Iceland. 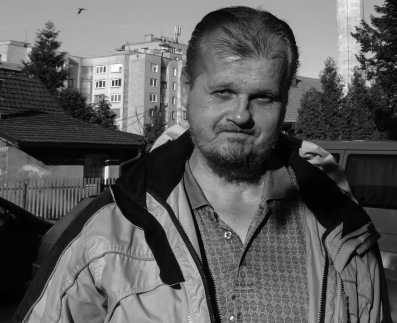 In 2014, he was elected to the town council of Norðurþing municipality in northern Iceland. Örlygur has led and organized a number of expeditions with Apollo astronauts (Walter Cunningham of Apollo 7, Bill Anders of Apollo 8, Rusty Schweikart of Apollo 9, Charlie Duke of Apollo 16 and Harrison Schmitt of Apollo 17) as well as the family of Neil Armstrong, to the new lava of Holuhraun, created by fissure eruptions in 2014 and 2015. The new lava is located just south of the Apollo Geology Field Training area in the central highlands of Iceland, where the Apollo astronauts did their geology training in 1965 and 1967. Örlygur has worked to document the story of the astronaut training since 2009. His articles about the training have been published by newspapers and magazines in Iceland, Germany and the UK. Paul R. Covey has 25 years of executive management experience, guiding professionals in improving performance and profitability. He is an expert in strategic analytics, developing and promoting metrics, tools and analyses that support and further a firm’s strategy with respect to revenue growth and profit maximization. He works closely with teams in Finance, Information Technology, Knowledge Management and Practice Management, specializing in the legal industry. In addition to his professional work, Paul grew up in a household that promoted deep interest in space sciences, as his father was a senior manager at the Jet Propulsion Laboratory, overseeing the electronic parts and engineering of several missions to Mars. As a child, Paul watched the first pictures taken from the surface of Mars arrive in real time, sparking a lifetime fascination with space exploration and an enduring interest in science fiction literature. Paul loves to travel, and his favorite place to go is “anywhere new,” an approach that has taken him to over 100 countries so far. Bill has a uniquely combined education with an undergraduate degree in aerospace engineering and graduate degree in geophysics from the University of Cincinnati and the University of Houston, respectively. He spent 12 years working in NASA’s International Space Station program as a maintenance, mechanisms and life support systems procedure author, crew instructor and flight controller. An additional 6 years were spent as a lead project engineer for the Orion program working on the development of the Orion Life Support Systems. He is currently a member of the Orion mission control team preparing to support that spacecraft’s upcoming flight test program. Bill’s background also includes the study of Martian valley networks, as well as exploration mission concept development targeting the methane seas of Titan. A veteran of NASA’s human test subject program, he was a member of the 3rd crew ever to live in NASA’s HERA habitat, and flew on nine flights aboard the KC135 Vomit Comet. His focus on the Advisory Board will be crew operations and procedure development.